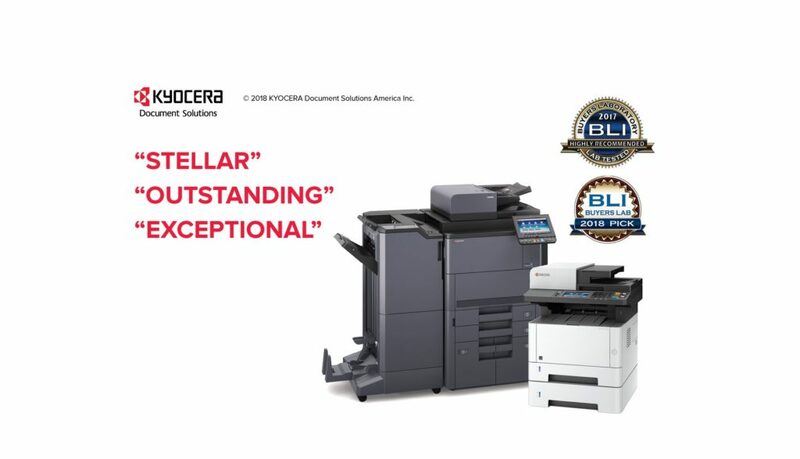 7 Kyocera devices chosen as 2018 Winter Picks by Keypoint Intelligence-BLI | Industry Analysts, Inc.
KYOCERA Document Solutions America, the first document solutions company with third-party certified sales data, has received numerous honors for its products’ high performance, reliability, and cost efficiency. KYOCERA Corporation’s consolidated net revenues were approximately $13 billion for the fiscal year ending on March 31, 2017. This entry was posted in Kyocera and tagged BLI, Keypoint Intelligence, kyocera by IA Staff. Bookmark the permalink. Next → Next post: Top Three Things to do at HIMSS18. Come see Lexmark in booth #4232!